If there is one thing I rely on doing on a regular basis beauty wise it's dying my eyebrows. I've got pretty light brows so to make filling them in a lot quicker and easier I turn to at-home dyes. Use whichever brand you can find in your local pharmacy/drugstore/beauty shop - they all work in more or less the same way. I usually go for Depend's little dye kit for brows and lashes in the colour brown. I used to use the black-brown colour and loved it as it stays nice and dar for longer than the brown but it is a bit too dark for me during the first days after dying so I've decided to try the brown now. It is very straight forward once you just read the instructions but I'll go throught it über quickly here anyway. Mix around 2 cm of the cream with 10 drops of the liquid until it's a reasonably smooth 'paste'. Use the spoolie to brush your brows into shape and then use it to apply the dye to your brows. Try and maintain the shap you usually keep your brows in as this will make it neater and easier to fill in later on. 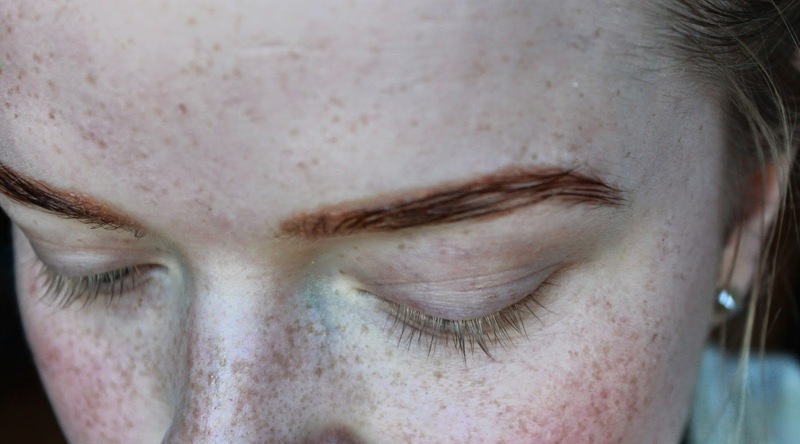 Also make sure to clean up any dye you may have applied outside your brows - it does dye skin temporarily so be careful so you don't get brown patches all over. Then just leave it on for 5-15 mins depending on how dark you want it (I keep it on for 15) and then wash it off thouroughly. Not the best after picture here but hey, it does the job. 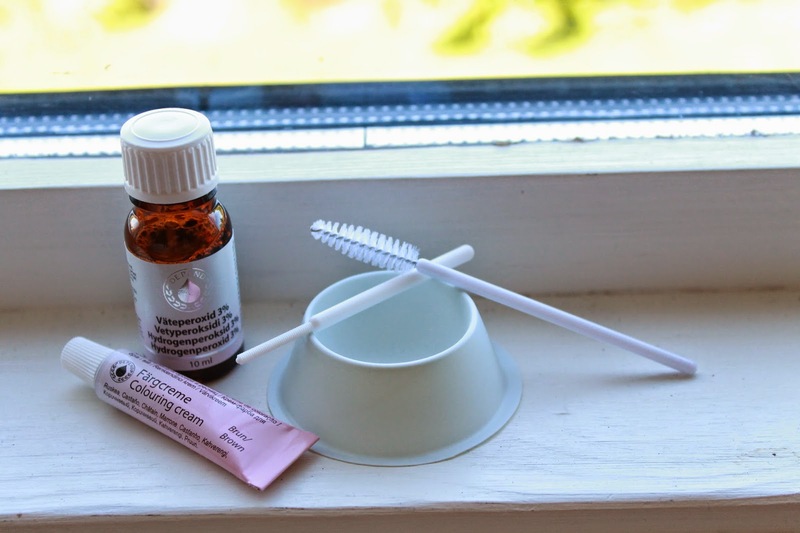 And that is how I make everything eyebrow related a little bit easier and quicker, around about every 3-4 weeks. Do you dye your brows or have you considered it? If so let me know if this was of any help! I'm not going to do the whole 'sorry I've been gone' speech simply because I'm not sorry. I needed a bit of a break and now we'll see if it did any good and if maybe I'll manage to actually post regularly again. 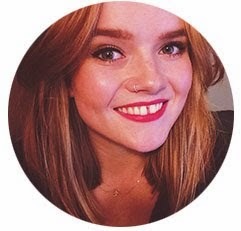 In the meantime you can head over to Bloglovin and follow me to be notified when I do post next. 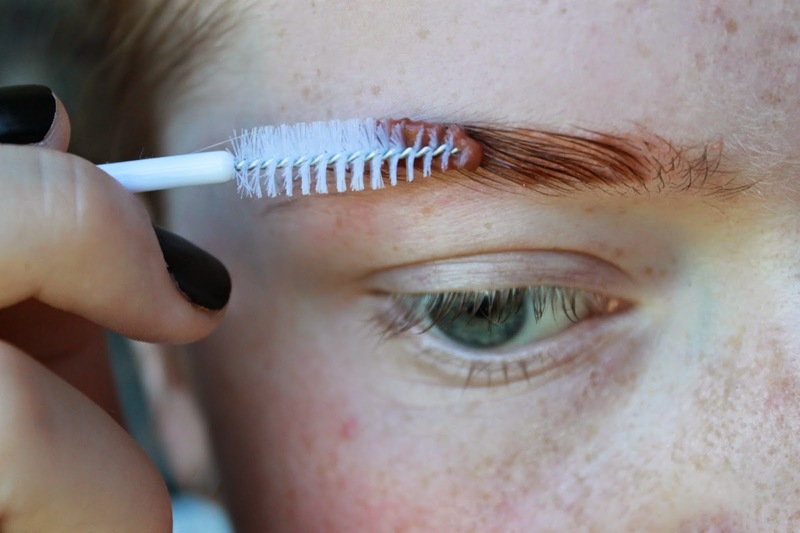 I really need to give this a go, I get so tired of doing my brows every day! !